When: Saturday, April 7 from 10:30 a.m. to 1:15 p.m.
What: The student-run Wake Forest Emergency Medical Service (EMS) team will participate in a mass casualty drill to provide invaluable hands-on scenario training in the event of a serious accident or on-campus emergency. 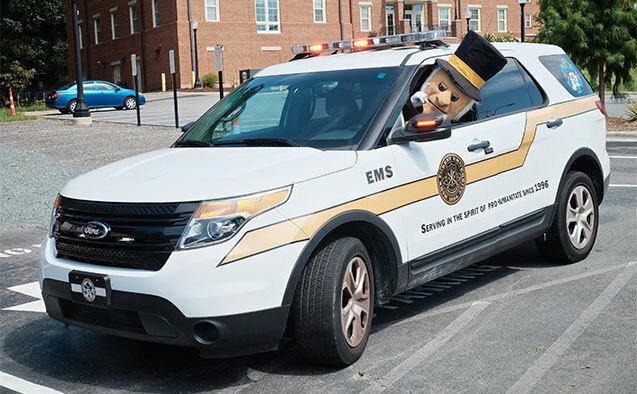 Who: Wake Forest EMS is a group of WFU student volunteers who respond as EMTs on campus to 911 medical calls 24/7 during the academic year. WFU EMS now has a new office on the ground floor of the Reynolds Gym near the Student Health Service, making it easier to respond to emergency calls on campus. The WFU EMS will participate in the drill in conjunction with the Forsyth County EMS, the Winston-Salem Fire Department, Wake Forest Student Health Service and the WFU Police Department.